Three generations in the auction business since 1974. In the Auction business since 1974! Auctioneer Scott Vander Kolk Jr. (left) Nickolas Vander Kolk (center) and Scott Vander Kolk Sr. (right) at M&W Inc. Grand Rapids, Michigan. Vander Kolk Auctions received the prestigious MAA 2013 Auction of the Year. Voelker Spring Auction 2013 Big Rapids, MI. to the highest bidder ! A no sale fee of $50 will be charged for per item sales up to $20000, for sales over $20000 a $100 no-sale fee will be charged per item. JD 5095M, 2010, MFWD, 640 hrs., pwr. reverser, JD 553 loader, very clean village owned. JD 6200, 6769 hrs., 2 wd., open station, syncro trans., 18.4×30 tires. JD 4440, 1981, 4000 hrs. 2wd., cab, 18.4×38 tires w/axle duals @ 75%. very good condition, clean tractor. JD 4050, 15 spd. pwr. shift, 2wd., cab, 12000 hrs., updated ac. IH 1466,1975,6900 hrs., year round cab,18.4×38 rear 10.00×16 front. runs good. JD 7410, MFWD, rblt. trans., pwr.quad.,8000 hrs. JD 6320L, MFWD, w/640 loader. JD 4430, 2wd.,quad trans.,4 post,18.4×34 tires w/duals. CASE 1030, diesel, wide front. JD 2020, utility, gas w/loader. JD 6300, MFWD, w/640 loader, open station. JD 4000, diesel, wide front. JD 2550, 2wd., w/ JD 146 loader. Ford 8700, 2 wd., open station. Ford 7700, 2 wd., w/cab. JD 7700, 1993, 2319 hrs.,2wd., pwr. quad, 3 remotes,,18.4×38 tires w/duals, 12 front wts., 2 rear wheel wts. JD 4250, MFWD, pwr. shift. JD 4440, 2wd., cab, power shift, 20.8×38 tires, 10000 hrs. JD 2010, row crop, gas, wide front. JD, 6200, 6769 hrs., 2 wd., syncro trans., open station. JD 4455, MFWD, 6685 hrs., pwr. shift, 18.4×42 tires w/axle duals, $17,000 spent on trans in 2011. 2006 Challenger MT665B, 2600 hrs., MFWD.,296 hp.,auto guidance display & receiver, air ride cab, 16.9×34 front tires, 20.8×46 rear tires. very good condition. JD 720, LP gas, narrow front, 10 hrs. on rebuilt motor, 3pt., power steering. Oliver 77, gas, wide front, runs good. JD M, w/ belly mower. Oliver, pull type combine w/ grain head. good original condition. JD 45, combine, w/10ft. grain head, was used last season. JD 30, pull type combine, w/7ft. grain head, was used last season. JD 42, pull type combine, pto. JD # 44,. 2 bottom trailer plow. Ford 3pt. 2 bottom 12″ plow. 3 pt. hitch off JD 60 tractor. JD, wide front axle w/hubs, fits 2 cyl. tractor. JD 810, 3×14″ 3pt. plow. NH T2310, MFWD, 662 hrs.,w/NH loader. NH TC24D, MFWD, w/NH 12LA loader. JD, 4400, HST MFWD, JD 430 loader. JD 260, backhoe unit, new, fits JD 2305 & 2210 tractors. JD 47, backhoe unit, fits JD 4000 series compact tractors. JD 3320, Hydro, MFWD, 580 hrs., 3pt., pto, 72″ mower deck, & JD 300X loader. JD 1050, 4000 hrs., 2wd., 8 front wts. 2003 CAT 277, rubber track skid loader, 3000 hrs., good tracks & undercarriage. CASE 1835, skid loader, 450 hrs. JD 146, loader w/long JD brackets & valve. JD 740, loader w/JD 7000 series brackets. STOLL, loader fits JD 6000 & 7000 series tractors. Bush Hog M646, loader w/85″ QT. bucket, joy stick. came off Case IH MXM 130. Round bale spear fits JD 640 loader. Pallet forks for JD loader. Round bale hugger fits on a loader, home made. JD 9510,combine, RWD., 5240/3460 hrs., 30.5×32 tires. JD 843, 8 row narrow corn head, high tin, good rolls & deck plates. JD 444, 4 row wide corn head, high tin. good condition. AC Gleaner L, combine, diesel. AC 630, 6 row narrow corn head. JD 918, flex head, good condition w/good poly. JD 444, corn head, high tin. Gleaner series-2, 4 row wide corn head, came off M-3. JD 920, flex head, good poly, pipe reel, steel stouts. JD 925F, poly flex head, good condition. Unverferth HT 25, head cart. 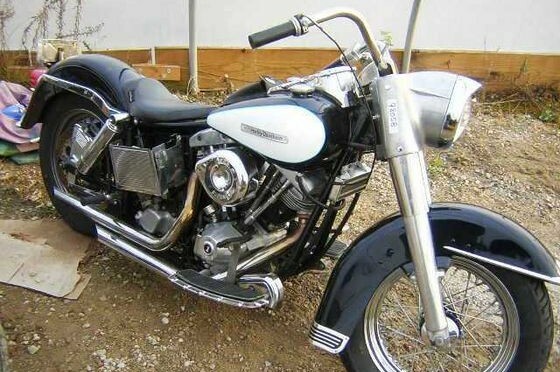 Harley T6, power box rake. Yale 8000 lb. forklift, LP gas. CASE 580, TLB, 2 wd., cab. JCB 530HL, loadall, 32ft. reach, low hrs. on rebuilt Perkins diesel eng., quick attach bucket, forks & 9ft. snow pusher. Ditch Witch, trencher, w/back fill blade, diesel, 4 wd., good condition. CASE 450, dozer, 6 way blade. Liftking, 4 wd. forklift, rebuilt diesel eng. JD 2500, plow, 5×18, spring reset. JD 210, 12 ft. disc. JD BW, 10 ft. disc. Brillion, 16 ft. field cultivator. JD 950, 12 ft. mulcher. JD 110, 12 ft. transport disc. IH 470, 15 ft. transport disc. John Deere 1350-1450 4×18 plow with new style hitch. White 549, plow 7×18″ on land hitch. Glencoe, 9 shank soil saver. JD 900, 9 shank ripper, 3pt. White 271, 18ft. rock flex disc. CASE IH 6650, Conser-Till disc chisel plow, 16ft. 13 shank, hyd. disc gangs. Glencoe, 17 shank chisel plow. Mohawk, 10 shank chisel plow. 20 ft. 3 pt. S tine drag. 4 row 3 pt. strip till. Glencoe 7400, 9 shank soil saver. Brillion PT-10 14′ crowfoot packer. White 5400, 4RN, dry fertilizer. (2) IH 5100 drill, soybean special, 12ft., w/tdm. hitch. IH 400, 6RN. no fertilizer. (2) IH 5100, soybean special drill.12ft. Kinze 6RN corn planter, dry fertilizer w/auger fill. Dry fertilizer cross auger off JD 1750 6 row planter. JD 1750 6RN, dry fertilizer w/cross auger. HARDI, 800 gal.60′ hyd. boom, rebuilt pump. Century, 500 gal. go-between spray tank, hyd pump. JD, 500 gallon srayer, 45ft. boom. HARDI, 500 gal. sprayer, 45 ft. boom. Demco, 300 gal. sprayer, 45 ft. boom. Demco, saddle tanks w/mounting brackets. (2) JD 510, round baler. JD 336, square baler., w/thrower. NH 1431, 12ft. discbine, good condition. JD 710 MoCo, 9 ft. sickle mower conditioner. NH BR 7050, round baler, like new. JD 945, discbine w/rolls, low acres. NH BR740, 2004, 4×5 round baler, roto cut, net warp. JD 956, MoCo, as-is needs repair. NH BR 740, round baler, net warp, crop cutter. New Idea, 40 ft. elevator, pto. New Idea, 40 ft. elevator, 110 electric motor. Kasten, forage box w/8 ton gear. JD 716A, forage box w/JD 12 ton tandem gear. JD 920 MoCo, 9ft. discbine. (2)NH 717, chopper 1 w/2 row head, 1w/1 row head. JD, 3 row narrow chopper head. JD, 7 ft. hay head. Sitrex, 3pt. 4 wheel hay rake. Sitrex 8 wheel V rake, pull type, hyd. lift. New Holland 311 hayliner sq. baler – Super Nice! JD 435, round baler w/net warp. JD 64 hay rake w/tdm. hitch. JD 1360 rotary mower conditioner. (2) JD 24T, sq. baler. Richardson, high lift dump wagon. NH 824 2 row chopper head, narrow or wide row. JD 1327, rotary mower conditioner. Fransgard T1-4000, 2 basket tedder/rake combo. 30 bales of baler twine. 3 pt. 2 bale, bale spear. 900, 6″x7′, 6″x8′, 5″x8′, red pine post, CCA treated. Miscellaneous tractor weights, rear wheel & front. Aluminum 12ft. elevator w/110 motor. Judson 8ft. drop spreader pull type. Tongue mounted hyd. pump, 540 pto., radiator w/cooling fan, only one year old. NH 195, manure spreader w/ end gate. Gehl 1322, V bottom manure spreader. Pair of 8×16 tires w/ wheels, like new. Pair of 9.5×24 tires w/wheels, like new. JD 1508, 15′ bat wing mower. JD 4 row 3pt. cultivator. Whitefield, semi auto tree planter. 3 sets of orchard fenders, came off JD utility tractors, 2440 / 2640. Pair of 20.8×34 tires w/JD rims, 50%+. Dual hubs, 9 bolt, off from JD 4230 tractor. Pair, of 23.1×26 tires w/8 bolt combine wheels. JD 1518, batwing rotary mower, 15′. Land Pride, rear mount roadside/ ditch bank mower. Fertilizer auger for gravity box. Tender wagon for grain w/hyd. auger. Pair of 23.1×26 tires & wheels, off JD 4400 combine, good condition. (2) Rainbow 1/4 mile irrigation hose travelers. Pair of 17.5×24 bachoe tires w/tubs. JD LA175, lawn mower, 26 hp., 54″ deck. JD X534,lawn mower,4 wheel steer, 54″ deck. JD 345, lawn mower, w/bagger. Bush-Hog 8ft. 3pt. back blade. JD 666 3pt. snow blower. Woods 6ft. 3pt. finish mower. JD X320, lawn mower, 22 hp., 48″ deck. Frontier RB1184, 7ft. 3pt. back blade. Mighty-Mac, walk behind lawn blower. Land Pride RB5384, 7ft.3pt. back blade. Goossen, lawn / leaf blower, 3 pt., pto. Woods 7ft. 3pt. back blade. Frontier ST 7526, walk behind snow blower. JD 45 6ft 3pt. back blade. JD TRS 27, walk behind snow blower. Westendorf Thrifty lift, 3 pt. hyd. forklift, 6 1/2 ft. lift, like new. Gravely, 260 zero turn mower. JD 676 3pt. snow blower. JD, XUV Gator, 850D, 4×4. JD Gator 6×6, not running. (2) 2006 Freightliner CL120 day cabs, air ride, Mercedes eng., 10 spd., 12F/40R, 22.5 tires., 7000,000 to 8000,000 miles, very clean. 2000 Ford F250 w/utility body. Gooseneck trailer, 27ft., 3 axle, home made. WW 16ft. bumper hitch stock trailer. 1983 Pete, Cummins eng., cab over, air ride, tdm. axle. Hillsboro, 3 axle gooseneck 16′ grain dump trailer. Home made 14′ single axle dump trailer. In an effort to streamline our business we have changed the name of our auction company fromVander Kolk’s Golden Gavel to Vander Kolk Auction and Appraisal. New logo…same great service! 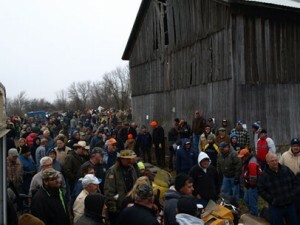 Each Spring 8 auctioneers auction over 500 pieces of farm equipment in Big Rapids, Michigan. This event in 2011 grossed over 1.4 million in sales and was attended by 1000+ buyers. More photos to come, please check back. 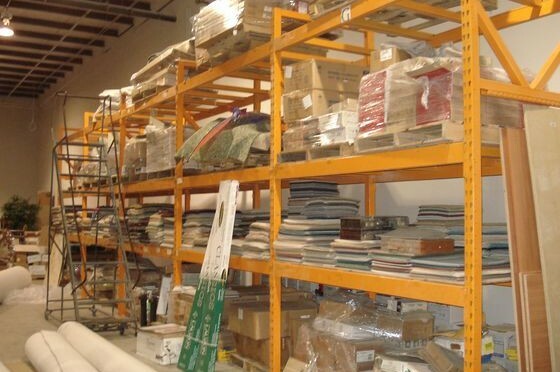 This is a great opportunity to purchase flooring and interior products, the items in this auction are too numerous to mention individually We also have several other vendors consigning. Please check our website for additions and changes. Cash or check with proper id due day of sale, nothing may be removed until settled for. Every item sells “as is, where is” without warranty or guarantee whatsoever. Not responsible for accidents or items after sold. This advertisement is only a guide, please inspect all merchandise. There will be a 5% buyer�s premium on all merchandise. Announcements made the day of auction take precedence over printed material. List subject to change. Check our web site for additions or changes. 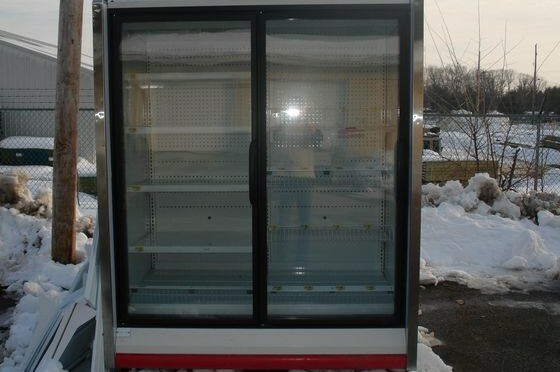 Many pieces of restaurant equipment for auction. Annual toy auction: Boats, RV’s, cars, ATV’s, etc. 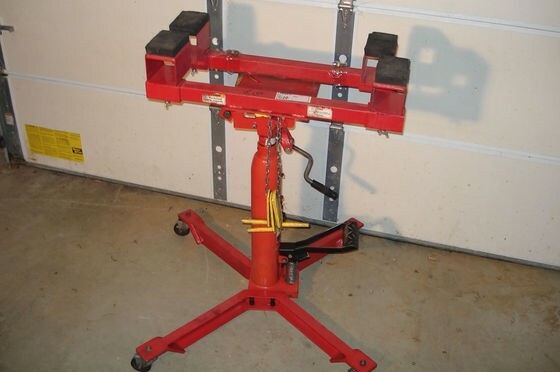 We have been contracted to liquidate the remaining equipment from Integrity Auto of Charlevoix, Michigan. Please stand by for date, time and details. Will include specialty tools, refrigeration equipment and engine analyzing equipment. To view specifications and pictures…click the button below.